From 6 May 2002, the traditional role of the Mayor changed when the people of Middlesbrough were given the opportunity to elect a Mayor. 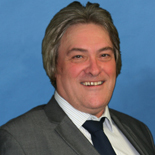 The elected Mayor is David Budd, who, with his Executive, has executive control over the policies and services of Middlesbrough Council. Because protocol will not allow two Mayors in one town, the traditional civic ceremonial Mayor with chains and robes is now called 'The Chair of Middlesbrough Council'. Members of the council, at their annual meeting in May, elect the Chair and Vice Chair of the Council. For the year 2017-2018 the Chair is Councillor Stephen Bloundele.